Nike’s Air Max2 Light returned late last year and now the sportswear giant has unveiled a new colorway for the model. The shoe, which originally was released in 1994, has never been reissued since its original drop and is a lighter version of the Air Max 2. The key difference between the two shoes is the air unit, which provided more air than previous models. This time the shoe is available in a “Blue Lagoon” colorway, which copies the Miami Dolphins colors, with a white leather upper, with orange and light blue panels throughout. The air max unit uses a dual-pressure chamber heel and is finished off with a Pylon midsole and Duralon outsole. 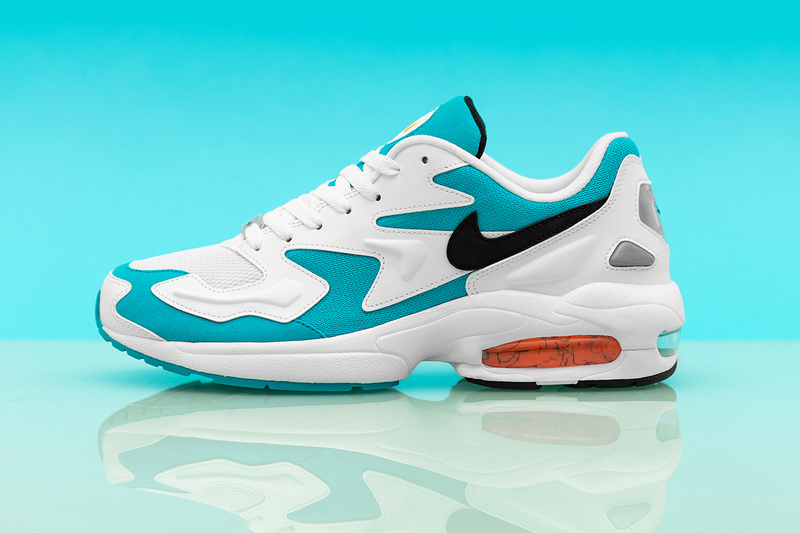 The Nike Air Max2 Light “Blue Lagoon,” costs £110 and is available from size? on January 18. In other news, the Nike Air Pegasus ‘89 is returning in two new colorways. Nike Focuses on Darker Tones With the Air Max2 Light "Thunderstorm"
The company could be forced to pay billions of dollars. Big news for retro gaming.